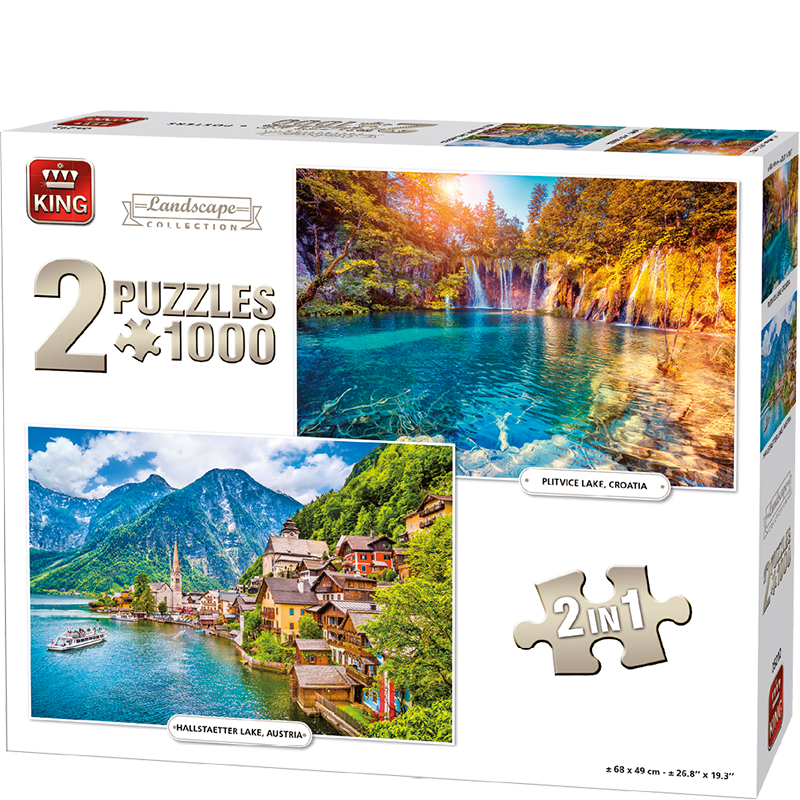 A 2in1 puzzle with amazing images from Croatia and Austria. The beautiful Hallstaetter Lake but also the beauty of the nature in Plitvice Lake. Two puzzles that will be fun to make.